Brennan Price N4QX is the former Chief Technology Officer for the ARRL (now with the EchoStar satellite company). He spent the past few years mostly in the international arena – the ITU and the World Radio Conferences – helping Amateur Radio acquire new spectrum and defending the spectrum we have now. 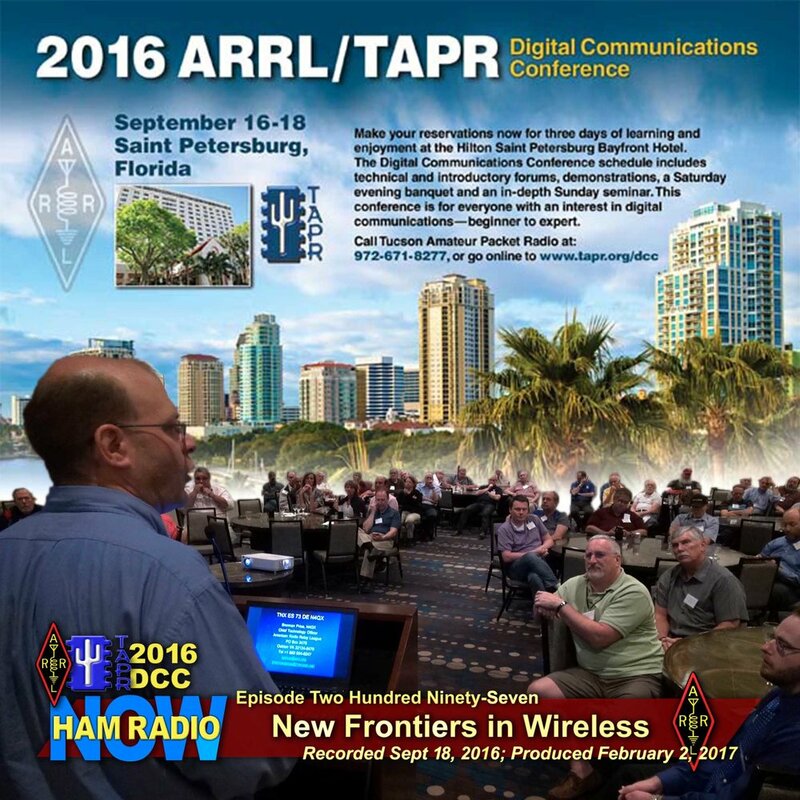 Here he gives the 2016 ARRL & TAPR Digital Communications Conference 'keynote' talk at the Saturday banquet. He'll address the new technologies and millimeter wave spectrum that will be so important to Amateur Radio's Future. HRN 131: A 60-Meter BAND? Maybe !